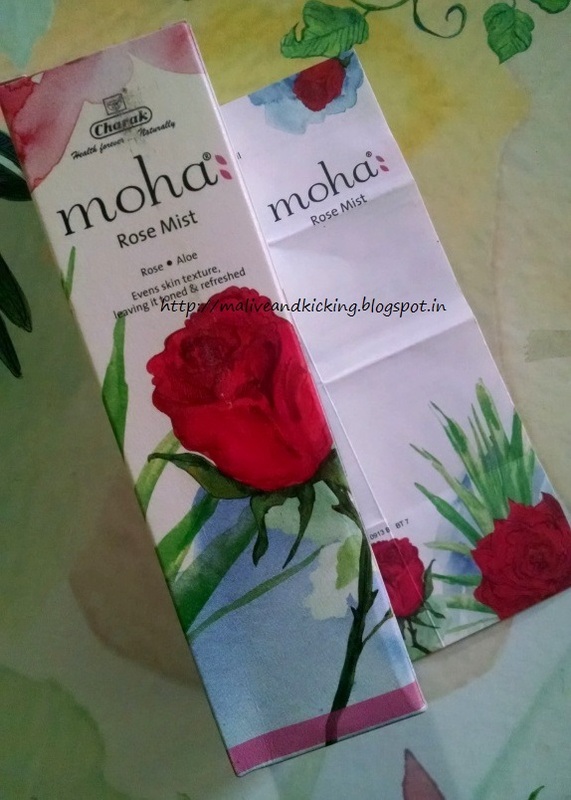 Here I talk about another product Rose Mist from Moha collection..
Moha Rose Mist comes in a plastic pump dispenser bottle which is housed in a cardboard box. The bottle is transparent and lets you see the contents inside. The beautifully printed label on the bottle depicts the main ingredients used. It looks lovely indeed. 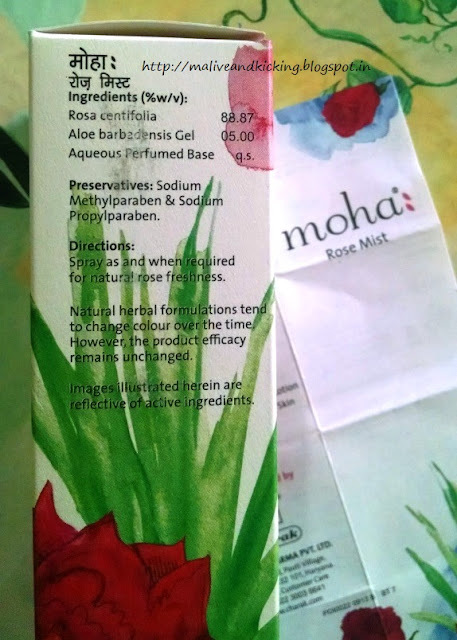 And there is similar print on the outer carton as well. The bottle has a transparent cap on its spray head. 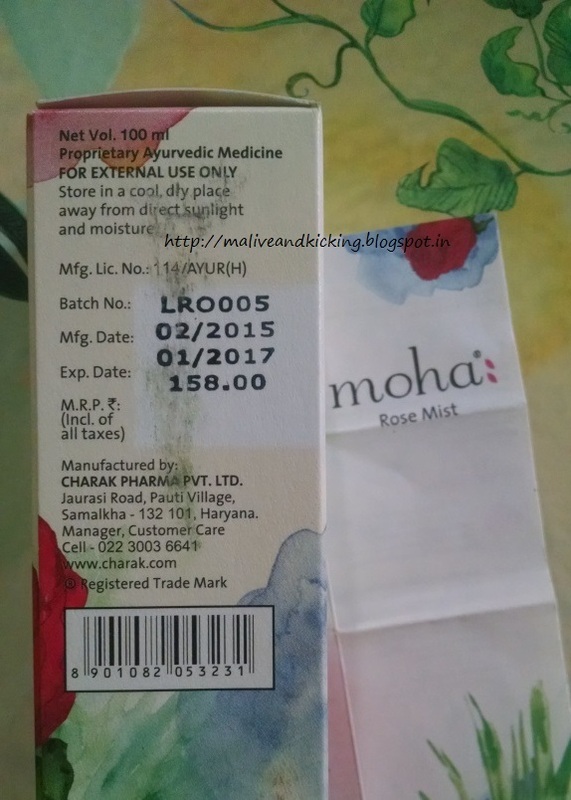 You will also find complete details on both the bottle and outer packaging. 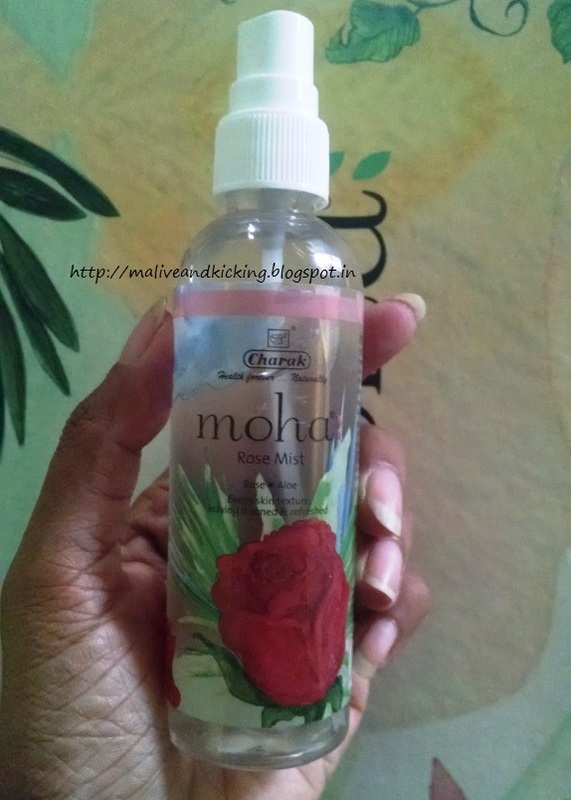 Moha Rose Mist as the name indicates is a clear liquid that is a cool mix of rose and aloe. The mist is colorless as water so there is no chance of leaving any stains on your skin or clothes. The fragrance of the mist is as pure as blooming roses handpicked from a garden. The floral top notes of the mist make it apt to perk up your mornings. 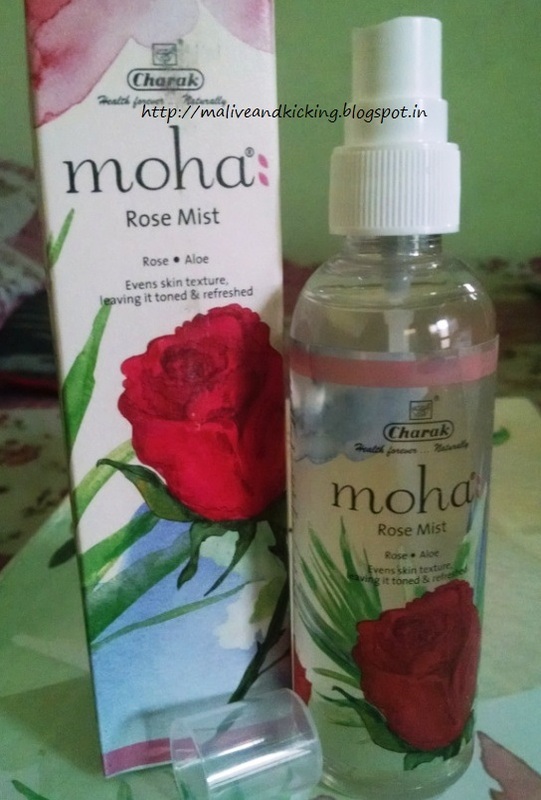 Though it is not mentioned on the product exactly to be used it only on face or other parts of body, I love to spritz a few droplets on my face and pulse points. Being a mist, its aroma is not as strong as a perfume, rather it is light and airy. The mist doesn't stay longer than 2 hours and then evaporates. Its just because most mists have more of water content than oils in them and tend to stay lesser time. The idea of reapplying my fav fragrance is absolutely fine with me. We have been knowing the fact that rose water is one of the excellent facial toner. And using this mist on my face is doing the job perfectly. Keeping this light-weight bottle in my handbag and retouching it as and when required indeed freshens up my tired facial skin during my working hours. Earlier, I had not tried using a mist as makeup remover. But as per the hint given on the packaging, I decided to give it a try. The mist sprayed on a cotton ball quite easily removed my eye makeup and I cleaned the area around my lips. Overall, I liked this affordable mist from Moha collection that suits all skin types and is gentle on skin. Can be used before and after make-up. 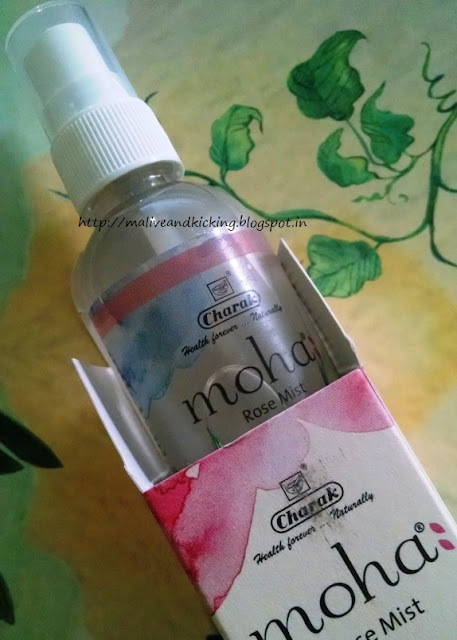 Relaxes mind with a natural aroma of roses. Nice review , product seems good. I absolutely love the packaging. The water paint effect is nice. The product also sounds promising.